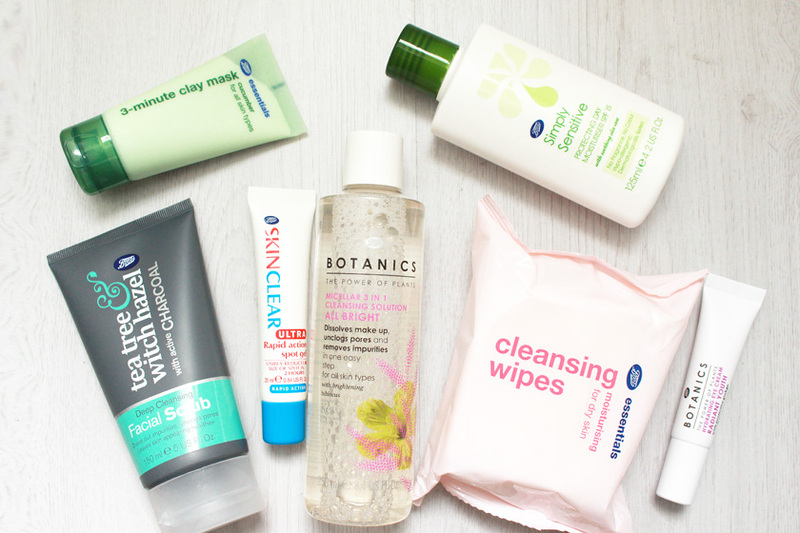 I am not a 'skincare snob' and before I started my blog, most of the products I used were from Boots own offerings, mostly the Botanics range. It's all about finding what's best for you and your skin type. I also rely on Boots when I have to restock my husbands skincare supplies, because he just slathers everything on like there is no tomorrow :) haha. I wouldn't use this scrub every day, as my skin isn't that oily, but when I feel like a greasy mess on a hot day, it works wonderfully. 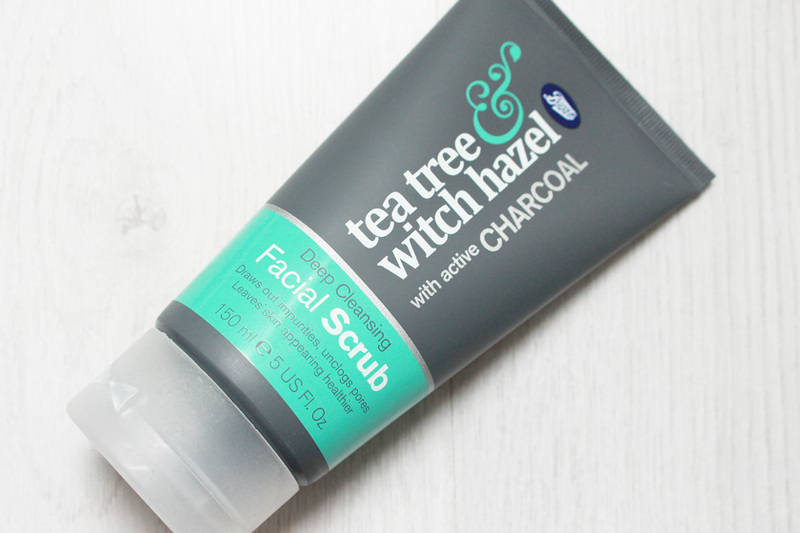 With antibacterial Tea Tree Oil, calming Witch Hazel and activated Charcoal, it gently cleanses, removes dead skin cells and draws out impurities & excess oil without leaving my skin feeling dry. It 's also good for keeping breakouts at bay. I actually tried this mask in the past (probably about 5 years ago) and it was a regular repurchase for me. 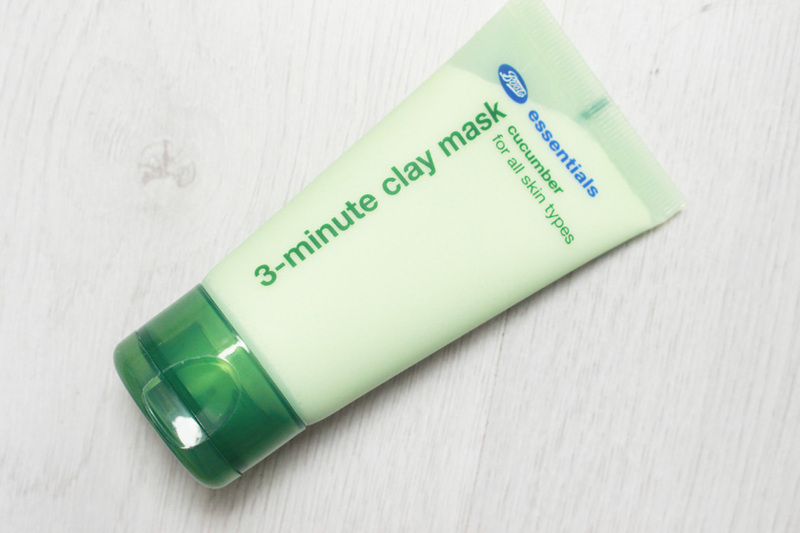 It is a clay mask enriched with soothing cucumber and vitamins and it is meant to draw out impurities and excess oils from the pores leaving skin clean and toned. 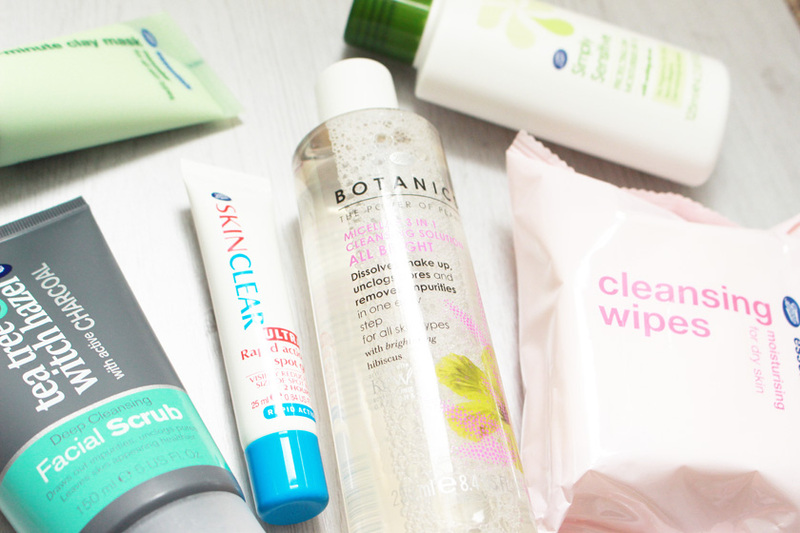 Basically, everything you need when your skin is looking a bit dull. It feels very soothing and cooling and it works in just 3 minutes - perfect. I would definitely recommend trying it. The only product from the selection I wasn't willing to try on my own face, as I break out after using products with a lot of mineral oil. It seems to work for my husband though, but it isn't his favourite either. The packaging is a bit annoying and I personally like to invest in a better moisturiser with better ingredients. I would give it a miss. It also reminds me of the brand Simple, which I hate for lying that it's kind to skin. 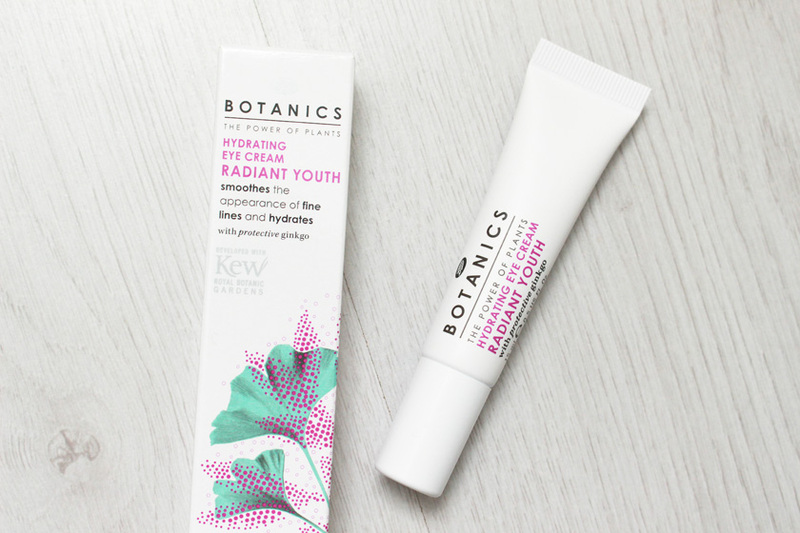 I love many products from the Botanics range and this eye cream is one of them. It is currently on offer as well, at £4.49, an absolute bargain. It feels very hydrating and helps to smooth lines, reduce the appearance of dark circles and boost radiance in the delicate eye area. 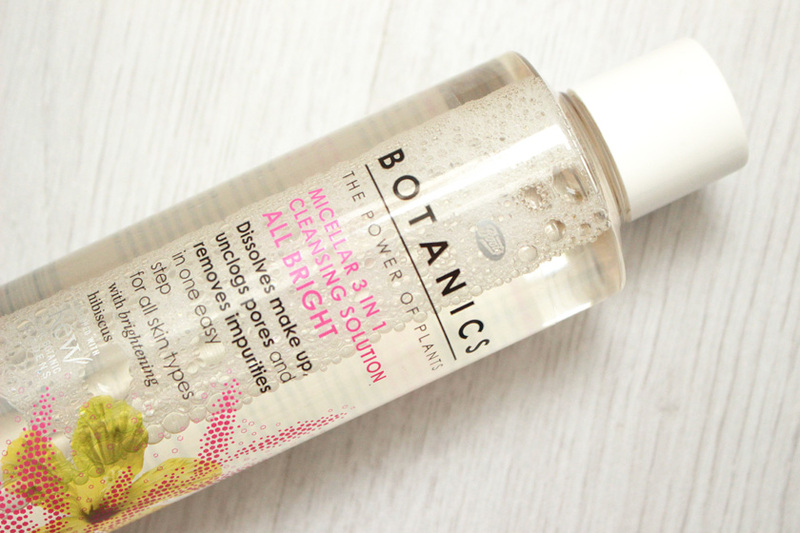 It contains anti-oxidant vitamins C and E and Ginkgo and the formula is paraben free. I would definitely repurchase it. The Radiant Youth Serum from the same range is lovely too. 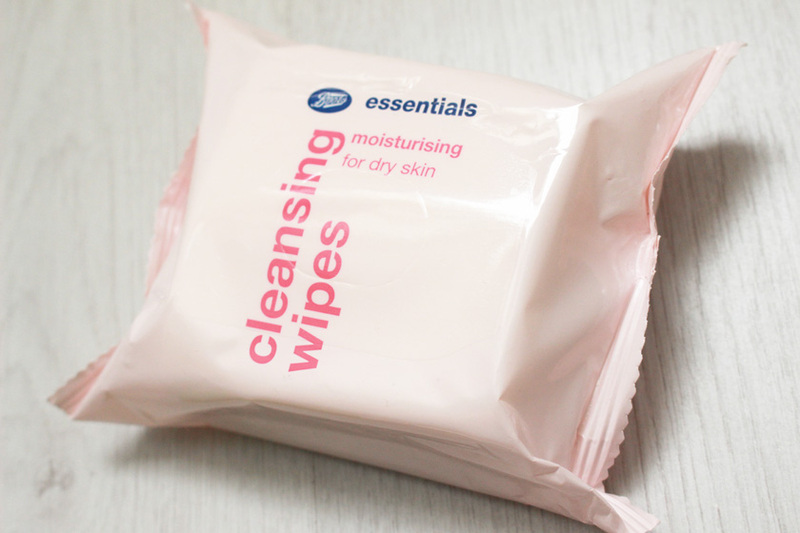 Just like makeup wipes, micellar solutions aren't proper cleansers and you should always use something after to remove any remaining dirt and makeup (cleansing balm/oil/lotion). I used this solution to remove the majority of my eye makeup and foundation and it works really well, even with waterproof mascara. Just be careful around the eye area as the formula contains natural AHA’s that act as a mild exfoliator to help leave skin smoother and brighter. Good value for money. 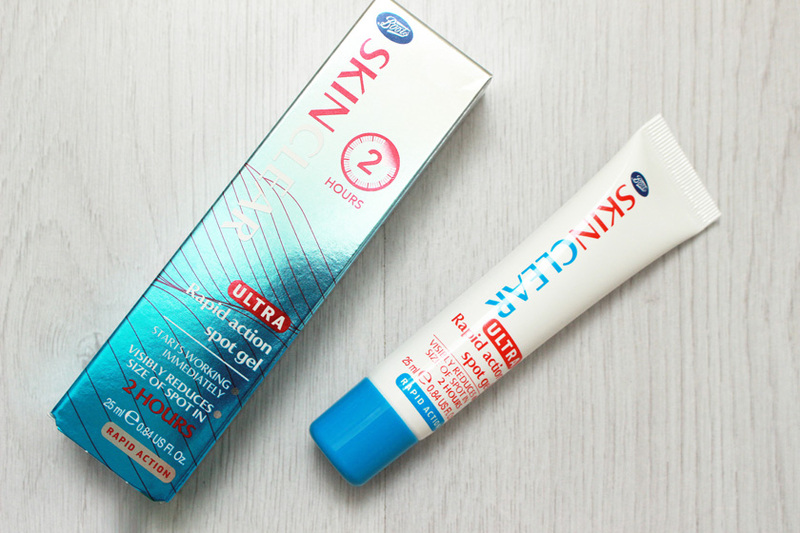 Are there any affordable skincare gems at Boots you would recommend?